g4g ‘goes corporate’ - we bring the girls to companies for a full-day of on-site STEM learning & certification through hands-on interactive training. 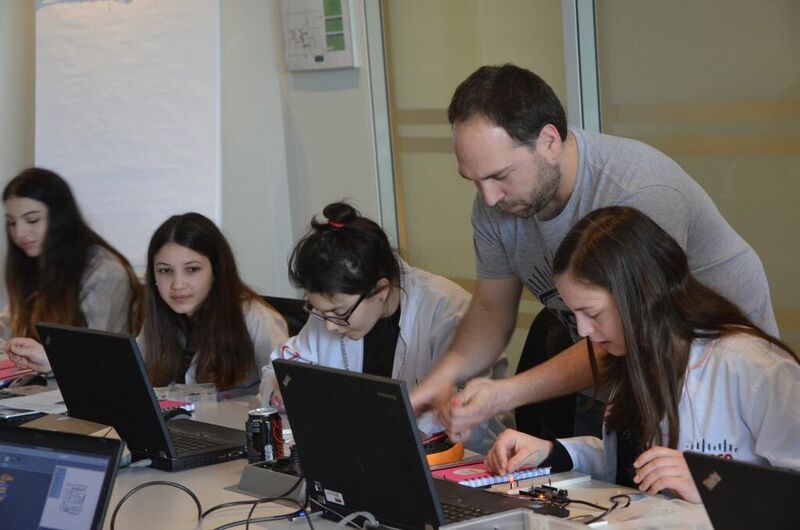 We encourage and introduce them to possibilities for a future career in STEM and engage the girls in inspiring workshops to show them a glimpse of what a certified-future working with a company would look like. An amazing day thanks to Cisco and team!! 34 greenlight girls, now "Cisco Certified Future Engineers", are ready to take on the ICT world after an afternoon of coding, LED programming and learning about telepresence technology. "What can we do to encourage more girls to enter the world of Information and Communication Technology? Girls should be able to experience the IT world first hand, in an interactive work environment – to be able to see, touch, hear and be inspired by the possibilities their future holds – and it all begins at an early age." Read more on our blog! I'm a Cisco certified future engineer!